Heat oven to 375°F. In medium bowl, stir cookie mix, melted butter, flour and egg until soft dough forms. On floured surface, roll dough to about 1/4-inch thickness. Cut with about 3-inch cookie cutters. On ungreased baking sheets, place cutouts 1 inch apart. Bake 7 to 9 minutes or until edges are light golden brown. Cool 1 minute; remove from baking sheets. Cool completely, about 15 minutes. 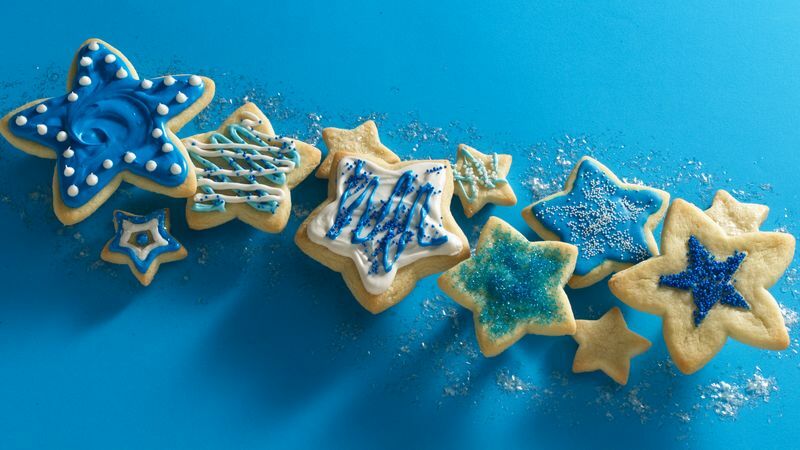 Spread frosting on cooled cookies. Decorate as desired with icing, sprinkles and sugars. Storage To keep cookies longer, wrap tightly, label and freeze up to 6 months.